This year, Dolls For All is working on something new. Instead of our previous methods of fundraising, we instead are going to host larger events in order to raise more money and donate dolls to more children. Below are just a few of the ways we are planning on fundraising. Stay tuned for more upcoming fundraisers and events as the year goes on. On Friday, December 7, at 6 pm, join us for a Christmas fundraiser at 218 Clear Creek Ave. There will be supplies (ribbons and glitter and greenery) provided to make fabulous Christmas decorations with helpful elves available for crafting consults if you need them. There will also be a silent auction, snacks and pre-made wreaths and more for purchase during the event. Are you in the Houston or New Orleans area? 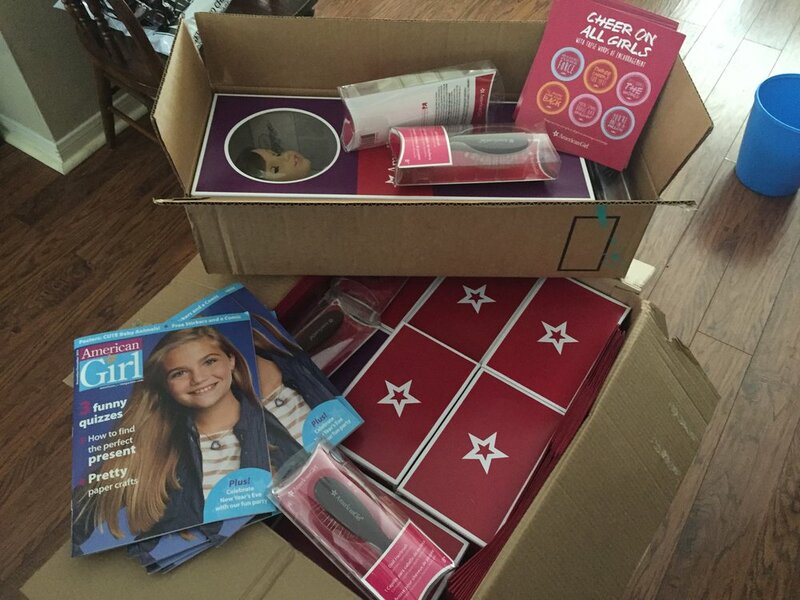 If you are interested in donating gently used American Girl dolls or American Girl doll accessories, contact Anna Jane Hilbrich (Houston) or Becca Preston (New Orleans.) When we deliver a doll, we do our best to give outfits and accessories to each child. This is only possible through the generous donations of clothes, shoes, beds, sporting equipment and more. If you have any 18' doll accessories, we will gladly match them with a deserving receipient and make their gift so special. As this year goes on, we have many new ways to get involved. While they may not all be an event, we have lots of programs going on. To learn more about adopting a doll for a child through the Child Advocate organization, go to our Adopt A Doll page.